"There's nothing like it on the market. Not at this price." 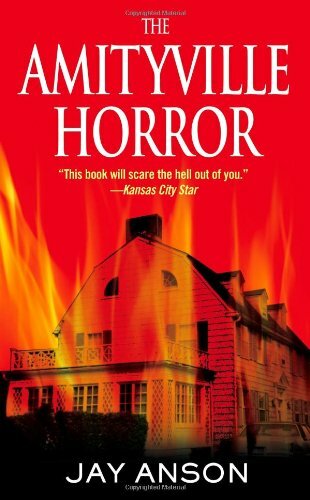 ~ Real estate agent to George and Kathy Lutz, in The Amityville Horror, 1979. Synchromystic events happen when you may least expect them. A Time reporter started contacting me on Wednesday and Thursday, August 7 and 8, 2013, asking me questions about the impact of movies on copycat killings. He said there had been some murders in Brazil, and he was doing a story for Time. But I was in the midst of traveling to a conference in Michigan. I couldn't assist him too greatly, other than confirming, yes, copycats are well-documented and well-cited in the research on behavior contagion. It was a tragic incident, as inexplicable as it was shocking. 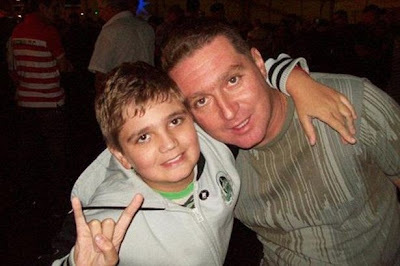 According to local police, Marcelo Pesseghini, a 13-year-old Brazilian boy in Sao Paulo, took his father’s pistol late Sunday night [August 4, 2013] and shot his policemen parents, his grandmother, his great aunt and, the next day, himself. 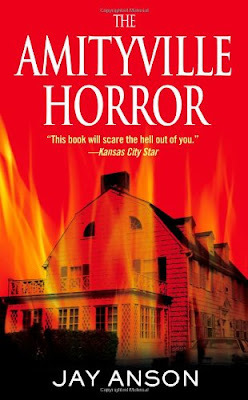 The killings shocked the country and drew international coverage that pounced on indications that he was inspired by the 1974 murder of a family in Amityville, New York (the basis for the supernatural horror book and subsequent film, The Amityville Horror). Time. 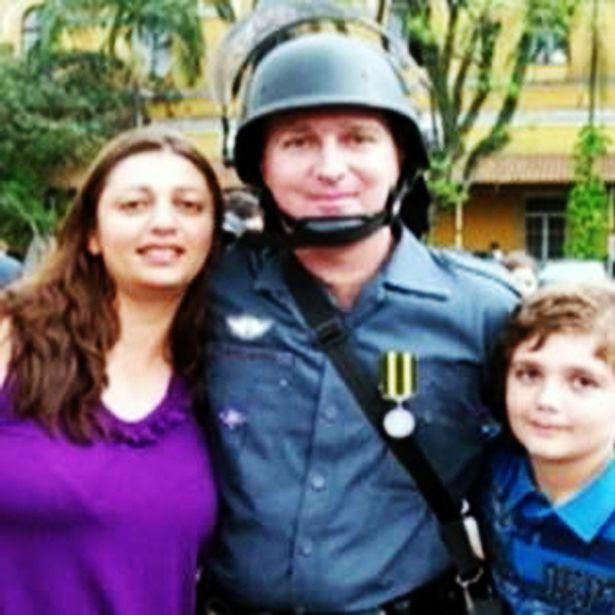 Marcelo Pesseghini is shown with his policeman father and his mother. Investigators say they found a separate revolver in his school backpack, and they spoke to a friend of Marcelo Pesseghini’s who said the boy had said he wanted to be a hired killer and planned to kill his parents and run away in his mother’s car. He had also uploaded to social media a famous photograph that ostensibly depicts the ghost of one of the victims in the Amityville massacre, when, in 1974, Ronald DeFeo Jr. shot and killed his parents, two brothers, and two sisters while they slept. 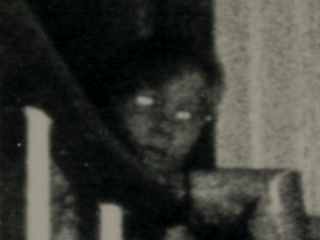 The Amityville "ghost" photograph (above) that Pesseghini posted. The boy's father's name was Luiz, and the name of the family that lived and was allegedly "haunted" by the Amityville house was Lutz. I journeyed to the MIPARACON gathering in Michigan, and quickly discovered, when I was introduced to him by author Jeff Belanger, that one table over from me was the son from the actual Amityville Horror home. It was fellow speaker Phoenix resident Christopher Quaratino (Lutz). 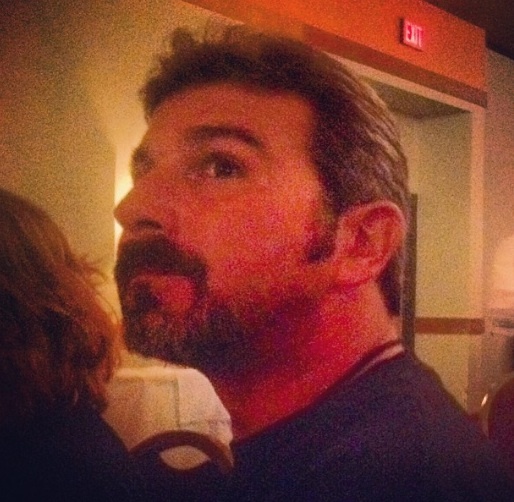 Just by chance, on Saturday night, at the VIP speakers dinner, I was seated between Chris (pictured) and Amy Bruni. It all seemed more than a coincidence. 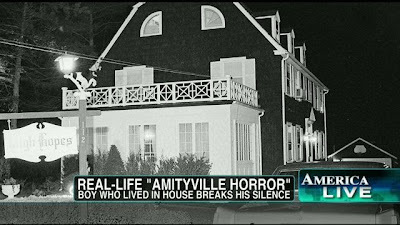 The Amityville "horror" allegedly began when six of seven members of the Ronald DeFeo family were methodically murdered as they slept in their beds, with only one person as the sole survivor of the grisly suburban New York bloodbath. Ronald DeFeo Jr., the eldest son, was convicted of the murders. Chris Quaratino (Lutz) felt forced to come out of the closet about his childhood experiences by the fact another movie about the Amityville traumas was being made. The story is one familiar to many. 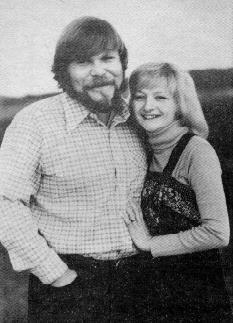 Chris's mother Kathy married George Lutz in 1974. During that marriage, they purchased the house at 112 Ocean Avenue, for around $80,000, and moved in on December 18, 1975. She was the mother of 5 children, three (including Chris) from her previous marriage and two daughters with George. 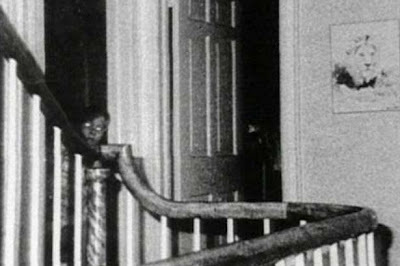 Strange things supposedly began to happen in the house. They included the odor of a very sweet/cheap perfume, and the sensation of a woman coming up and embracing Kathy from behind, plus slime oozing from the walls. Kathy supposedly levitated and George awoke at 3:15 am (the recorded time of the DeFeo murders). As the story unfolded, a marching band was heard only by George, and a demonic pig named Jodie befriended the Lutz's daughter. The family fled the New York house after 28 days. Stating that they would never return, they did come back for a yard sale a few weeks later. What did Kathy and George Lutz say in response, years later, to those who believe they perpetuated a hoax? Kathy stated that there is nothing she can say or show to people as proof - all she has is her testimony, which is true. George told people that he wishes it was all a hoax. 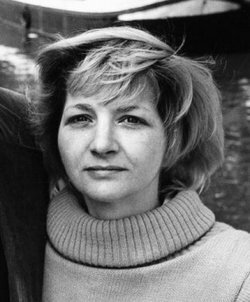 Kathy died August 17, 2004. George died May 8, 2006. They had divorced. The major chronicler of the story of their 28 days in the house is Jay Anson. 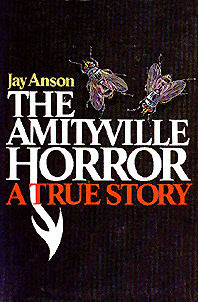 Several other books and movies have been created about the events of the so-called Amityville Horror. That the events would be a model for copycats, even in Brazil, is no surprise. 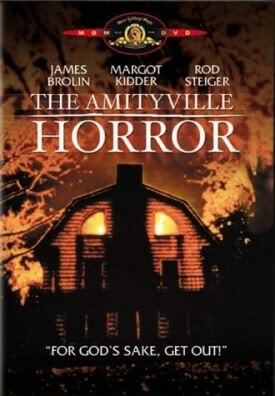 Labels: Amityville Horror, Chris Quaratino Lutz, Copycat Murders, Lutz, Marcelo Pesseghini, New York, Ocean Avenue, Ronald DeFeo Jr.